1. As you create your book, the number one concept to keep at the forefront is that your readers are totally self-centered. They care only about how you can help them to solve their immediate problem. If you cannot provide practical, accessible solutions, they'll toss your book out the window. 2. Therefore, your first task is to clearly state the problem that you can help the reader solve. For any business owner, the number one problem is how to make more money. Period. This goal can be accomplished in a variety of ways, including winning a big contract, increasing market share, increasing profit margins, cutting expenses, or introducing a new product or service. Regardless of the strategy or combination of strategies, the goal is always to make more money. If you are writing a fable you may, if you wish, use a metaphor for making money, like finding out who moved the cheese. 3. The specific problem that you say you can solve must resonate and be clearly defined. It may include increasing team effectiveness, lowering employee turnover, taking advantage of the internet for marketing, or strategic succession planning. Whatever the area of your expertise, you need to define the problem and show the consequences of allowing the problem to continue. This is the fear factor. You must say, "In today's competitive business environment, if you're doing it the old way, you're going to be outperformed by your competitors." 4. You must then assert the benefits of your solution. Regardless of the short-term benefits your solution can provide, the long-term benefit is always the same: increased profits. Period. 5. Then you need to describe your solution in plain English. Provide examples or tell stories to make your solution come alive. The reader must be able to say, "Yeah - this book describes my problem and I can see how to fix it!" 6. You are the expert. The reader does not care where your ideas come from. Do not tell the reader to go elsewhere for a solution. Please do not load your book with quotes by Jack Welch, Donald Trump, or Lao Tzu. I guarantee you that these same quotes are reproduced in thousands of boring business books. Your job is to stand out from the herd, not to be a part of the herd. 7. Don't try to sell the reader. They've already bought your book, so you've got their attention and loyalty. Just tell them at the end of the book that if they need more information you invite them to contact you. 8. Don't make the reader do an activity, like fill out a chart or make a list. No one has time for that kind of stuff, and most business people think it's beneath their dignity. Plus, if they're reading your book on a Kindle or Nook, they can't fill out a form anyway. Remember that your reader is totally self-centered. They have paid their money for your book and they want you to do the work. 9. If you must use graphics, make sure they are incredibly simple. One corporate client of mine drew his own little circles and graphs with a pen. The images looked like a fifth-grader had drawn them, and they were incredibly effective. You could see at a glance exactly what he wanted you to understand. 10. Never ever use clip art. Never insert an image that is not unique to your book. The reader does not need to see a generic image of dollar bills in order to understand that you're talking about money. Your book is not a PowerPoint presentation; it is a personal communication between you and your reader. 11. Do not use footnotes. Busy businesspeople do not care about your sources and do not want to interrupt their reading by going to the bottom of the page and squinting at a footnote. If you quote a source, say in your text, "According to the New York Times, fifty percent of all homeowners... " If you wish, provide a list of resources at the end of the book. 12. This is your goal: to get the reader to read your book and then hand it to a colleague and say, "You gotta read this book. It's a fast read and it's got some great ideas. We can discuss them at the next meeting." Bingo! Your book has just sold itself. And chances are good that your phone will ring and the company will want to hire you for a consultation. That's it. Keep it simple. Describe the problem and offer your solution. Give your reader value and they'll come back for more. 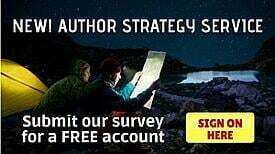 Professional ghostwriter and book editor Thomas Hauck provides comprehensive and confidential ghostwriting and editing solutions for authors of fiction and nonfiction books. No one will work harder to help you reach your literary goals. Visit http://www.thomashauck.net/ for information on how Thomas Hauck can help you write and publish your book.